A Brazilian judge has ordered Facebook to remove all current posts that offend the “image, honor and privacy” of slain politician Marielle Franco — and all future posts of the same nature. 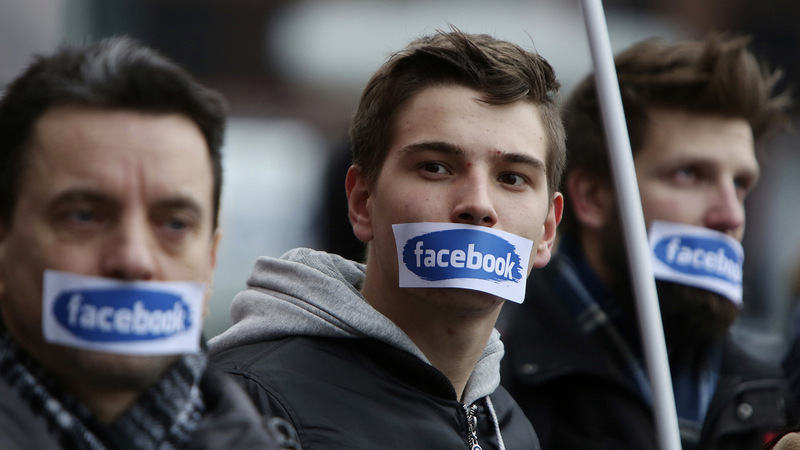 This could set a dangerous precedent for freedom of speech online in the country. Rio de Janeiro city councilor Marielle Franco and her driver Anderson Gomes were killed in a drive-by shooting on the night of the March 14. Franco, 38, was a vocal critic of local police violence. Soon after her murder, false reports claiming she had been married to a drug lord and that she was elected with the support of a criminal group began circulating online, among other unqualified rumors. Marielle’s widow and sister filed separate libel claims against Facebook and Google in an effort to get the stories removed from search results and social media. In both cases, the courts ruled in their favor. If the company fails to comply, Facebook could face a penalty of 500,000 Brazilian reais (USD $150,000) and a country-wide block of its services. Facebook Brazil declared that it will remove “the specific content identified in the court records,” and didn’t acknowledge what it would do about posts made after the ruling. At the time of writing, there were still several false or distorted stories about Franco from ultra-partisan websites circulating on Facebook. The ruling also orders Facebook to provide the authorities with the names and IP addresses of users who shared the false stories, even if those users had subsequently deleted the posts, so that Marielle’s family could take legal actions against them. It is unclear how the ruling will be enforced. A blanket prohibition on all content offensive to Marielle Franco would effectively grant the social network censorship powers by demanding it to commit to monitoring its users’ posts indefinitely. It would also go against Brazil’s Marco Civil, the internationally acclaimed bill of rights for the internet passed in 2014. Under Marco Civil, websites like Facebook can be held liable for content published by third parties — i.e. users — if they fail to comply with a court order for content removal. But for this type of court order to be considered valid and actionable, it must include a specific, live link or URL to the content in question. This effectively means that the law does not provide for removal of duplicated versions of outlawed content, or for “future” postings, as indicated in Judge Nouvelle’s ruling. In February, Brazil’s Superior Court of Justice reversed a court decision ordering Google to suppress offensive videos that had been scraped from YouTube, based on the limitations provided by the Marco Civil. For Paulo Rená, a researcher at the Beta Institute for Internet and Democracy who helped draft the Marco Civil, the current ruling will be virtually impossible to comply with. In Rená’s opinion, Marco Civil’s objective was never to “clean up the internet”, but to enshrine rights and duties for internet users and service and application providers. He added that Novelle’s decision could set a dangerous precedent for freedom of speech in Brazil, particularly with looming elections in October, in which the country will vote for president, state governors and legislative seats at federal and state level. Advox is licensed under a Creative Commons Attribution-NonCommercial-ShareAlike 3.0 International License.